How I like our cagey Reviews Editor! This debut from Stormwolf was my first assignment for this new issue of 'Fireworks*'. It came across my desk as per usual and like normal, I slipped it into my system and lo and behold, 'Howling Wrath' hit me like a ton of bricks! This is pure Metal from a fantastic quintet that are fronted by a forceful and angelic lead singer in Elena Ventura. However, the surprises were just beginning; here I was, an aged drummer myself, hearing one of the finest drummers I have heard in quite a while, she is not just amazing, but constantly blistering and melodious – Tiziana Cotella is a true percussionist. There is also the searing and soaring twin guitar attack of Francesco Natale and Davide Passarelli, while Francesco Gaetaini anchors all of this molten Metal with his solid bass runs. Stormwolf's first full-length album will mesmerise you, electrify your senses and flip your world of Metal around. All through this release, we hear the band's considerable talent in each and every song via soaring guitars, massive vocals and explosive rhythms – for me, this nudges ten on the excitement scale. With some wonderful vocal harmonising, this five-piece Metal group crashes through many musical borders, and in the process, they can lift any listener up to some thunderous and molten peaks; each cut on 'Howling Wrath' is designed to keep hearts pounding! The group also salute Doro Pesch and Lizzy Borden with three fantastic re-interpretations, and it's both a classy and wonderful way to show off some of their influences! Did my Editor get me all fired up? He certainly did and I can't thank him enough – I actually feel much younger now having spent time with this release! 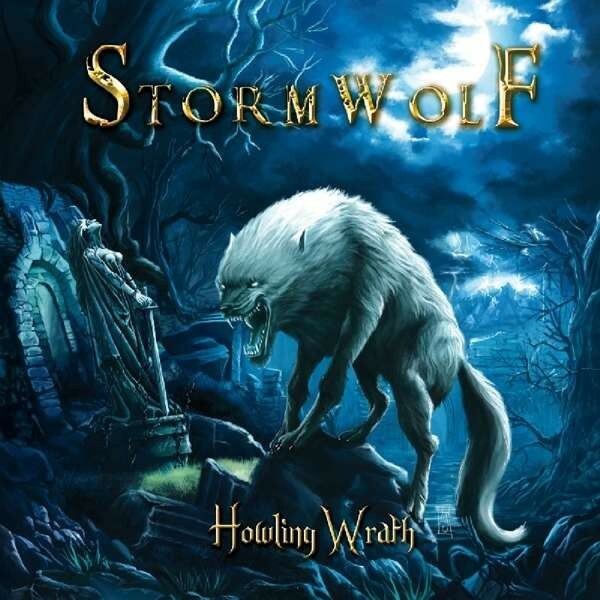 Stormwolf's 'Howling Wrath' is one of the better debuts I've heard for a while!